I'm not trying to justify their deaths, all I was saying was that the Charlie Hebdo cartoons are often very racist - which is the truth. When it comes to issues such as racism, it really isn't about "expressing themselves" any more and it becomes degrading to other people. I mean really it was an obvious choice in retrospect. Either france and it's allies reacts by sending military out to get show how tough they are, and not leave the insult they received unanswered... or they close off borders and scrutinize every follower of islam to a level that is invasive and abusive to good people. Either way they cannot help but increase a sense on persecution against islam. Which is exactly the fertile field that IS recruits from. In the mean time this heightens islamophobia to a point in other areas that we start to see shades of McCarthyism. Again heightening injustice against a majority good people for the acts of some bad ones. Creating a rift between Islamic people and the rest of the world. When your family get threats, you are blacklisted from careers, your liberties are violated, and you are already treated like a threat, it becomes hard to not see those doing it to you as immoral and corrupt regimes... which fits rather nicely with radical islamic portrayals of the west. I don't believe they will stop even if all borders close. I truely believe that they want the world to declare war on them, which they will be so intermixed amongst the islamic people that hits against them can be show as propaganda that the world has declared war on islam itself and call all people of the faith to defend themselves. And we've seen what decentralized warfare using improvised weapons looks like in the middle east. It's a model design to literally be impossible to win. They are not interested in beating the west in a fight, the model is simply to get the world powers to stretch themselves out too far and collapse under the stress. Empty words of weakling politician. I highly doubt there will be any reaction to this "act of war" other than, maybe, "France against terror!" mass rally plus a few percent of new followers for Marine Le Pen. After month or two, everything will return to normal... till the next attack, i mean. Three people wounded in Friday's attacks have died from their injuries, bringing the death toll to 132, hospital officials say. Many remain in critical condition. Firstly, here is a great article (http://www.newsweek....-attacks-394587) about the meaning of this terror attack and how in the future terrorists will likely no longer target big-name targets and instead target the much softer targets like restaurants and concert halls since they are easy to do and to be honest are generally more effective at killing huge amounts of civilians. The 2008 Mumbai attack is the template for this and this is the first time that such an attack has been orchestrated on a Western city, more recent smaller scale attacks like Ottawa, Sydney, and the earlier Paris ones were more lone wolf acts and not international in scope. Islamists have not mounted an "organized" attack on a Western city since London in 2005 because they were too preoccupied with difficult to strike targets which required to much logistical planning which would almost certainly give them off to Western intelligence agencies. Secondly, this type of attack I would imagine might actually be easier to coordinate in the U.S. or Canada than Europe due to the reason that weapons are easier to acquire although I feel the explosives would be harder to acquire in North America. Basically right now Western governments have to figure out how they can thwart such attacks before they occur as they simply cannot afford to put big security contingents at every restaurant, school, concert, mall, etc... should they come under attack. There is going to be an argument to expand the surveillance state though it is unclear to me that this will have any great effect as I'm not sure that terrorists haven't learned that to coordinate these attacks they need to basically stay off electronic devices. That's why I feel that this guy coming in with the refugees is important. He knows information which he can then transfer to sleep cells in Europe without much information being available to security agencies on the Internet to hint that such a thing is coming. This is part of the reason that the open-door policy into Europe needs to stop as the security forces cannot catch all these kinds of people before they get in as they are currently overwhelmed. Its kinda like ISIS is almost training viruses where they generally highly train a person in Syria so they can get into Western countries and coordinate the logistics to make these kinds of attacks occur. This isn't as much a flood of terrorists which could be more easily caught and disrupted I feel this is more like a lone terrorist "catalyzer" they send in which cannot be tracked, but once into Europe can organize the disaffected and radicalized individuals and bring them together to carry out what just happened in Paris. The refugee system is making this kind of terrorist organization very possible and it is almost impossible to stop as long as this refugee crisis continues. It is possible that ISIS has sent another one of these "catalyzers" into the West to prepare for another terrorist attack right now and they are currently organizing for another one which means the rate of attacks on the West could climb. An intelligence report from the Iraqi surveillance forces just a few days ago suggests there are active plots to imminently hit France (already hit), the United States, and Iran. But unfortunately they can't get many specifics as the details of the plan are likely a closely guarded secret unknown to except a few deep within ISIS territory of Raqqa which means it is very hard to intercept to know what the plot is. And since one person is carrying the information for this plot and leaving no electronic footprint good luck trying to catch them before it actually occurs. Thirdly, this is likely going to cause a major campaign against ISIS to eliminate their stronghold in the Middle East as fast as possible. This may result in the boots on the ground that has been suggested because I feel Western security forces will probably realize that as long as ISIS has a safe-haven training ground for these "catalyzers" the likelihood of more terrorist attacks is extremely high. The threat level could be lowered if Europe was controlling its borders, which may happen as I feel the Schegen (whatever it is called) agreement is on the verge of collapse and may very well be finished. 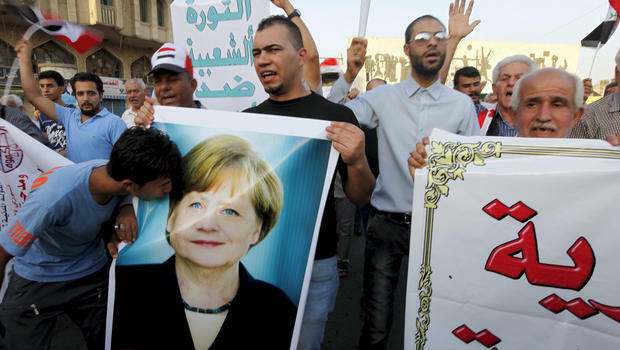 Also I think if Merkel continues the open door policy in light of this attack she will likely face a party-revolt and be forced to step down next year, certainly so if there is another attack within the next 6 months (almost certain right now). Finally, the West needs to get over the idea of Assad staying as it is the most simple way to secure Western nations from ISIS and get a coordinated international campaign to get rid of ISIS. The rebels have not proven that they can be trusted either and have also had violence attributed in their name as well, there are no good options for Syria. But there are good options for keeping other nations safe. My condolences to the victims of the Paris attacks, as well as to all the victims of violence in the Middle East and throughout the world. Holland vows to destroy IS. France's military campaign against IS in Iraq and Syria will also intensify. Speaking during a joint session of both houses of parliament, Mr Hollande said the constitution needed to be amended as "we need an appropriate tool we can use without having to resort to the state of emergency". Not about Paris but related. Breaking: Russia says ISIS bomb destroyed Metrojet Flight 9268. New airstrikes launched on Raqqa by the Russians in response. French security sources say that surveillance video shows a possible ninth assailant during Friday's attacks in which 129 people died. The video reportedly shows a third figure in the car which carried the group which attacked several bars and restaurants. It is not clear if this ninth attacker is one of two suspected accomplices detained in Belgium or is on the run. Armed police are raiding a flat in the north Paris suburb of Saint Denis in an operation linked to Friday's attacks. At least two suspects have reportedly been killed, including a woman who blew herself up with a suicide belt. Several explosions and gunfire were heard. 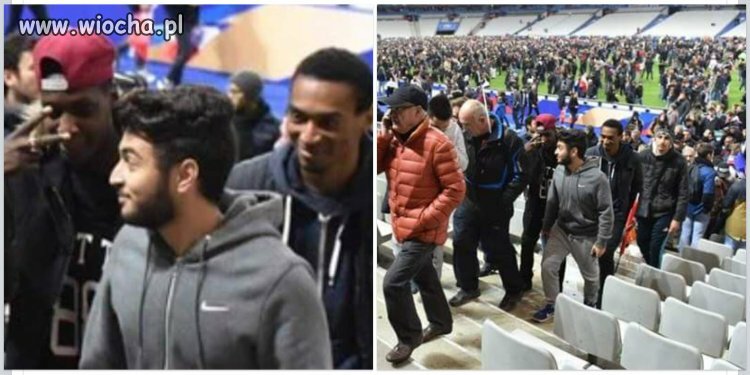 Three people have also been arrested, according to French media reports. Destroying the one of ISIS' refineries... i can imagine the rage of despair of ISIS' trade partners who not just can not stop this but can not even openly complain. The US has been doing this for months..... I imagine they are quite used to shutting up. I know he's directing this at IS, but a good bit of ethnocentrism and emotionally fueled hate there.